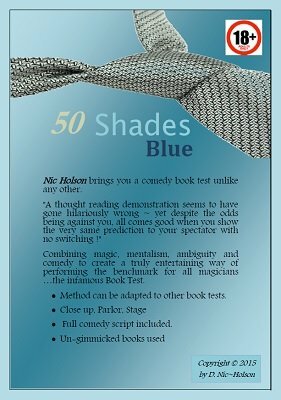 Nic Holson brings you a comedy book test unlike any other based upon the literary success of EL James 50 Shades of Grey and the soon to be released film of the same title. A thought reading demonstration seems to have gone hilariously wrong - yet despite the odds being against you, all comes good when you show the very same prediction to your spectator with no switching! 1st edition 2015, 37 pages.